Welcome to Laura's Kooma Angel Cards page. 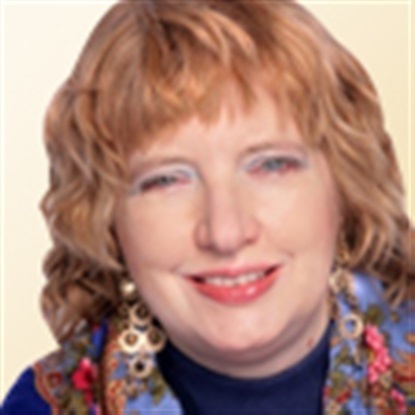 Hi, my name is Laura and I have been working with Tarot for over 30 years now. My mother taught me the cards as a child and I cannot remember a time before I was interested in Crystals, Cauldrons and Magic. As I grow older and saw how I was able to guide friends with my abilities, advising them on how to make the best of their lives, what to do in difficult situations. I realised that I could guide others as well, so I started reading at Psychic Fairs. I then moved onto working over the phone when I discovered how powerful my psychic abilities were even when all I had was a voice from the other end of a phone. Over the years I have talked with all sorts of people about all sorts of problems, so you need not be embarrassed or worried. Talk to me as you would a friend and don't forget everyone has problems. I am not hear to judge you I am only here to guide and everything you say to me will be kept in the strictest confidence. The Tarot was were I started and I still love reading with my cards, over the years I have collected lots of different decks to guide more directly with all sorts of questions. Love is one of the top questions we get asked about in Tarot readings I even have a deck which focuses purely on emotions how people are feelings. As for Clairvoyance I always get help from my guides, they both talk to me and show me things when reading so all my readings always involve some element of Clairvoyance. Healing, as a follow of the Tibetan Buddhist path for over 15 years now I can rely on Vajrasattava and the Medicine Buddha’s practices to help me here. I have also personally received teachings on Healing from some of the foremost Tibetan Lamas involved in healing today. Runes, I have several sets of Runes, including several made especially for me. I have always been interested in Runes and Druid and joined the in the order of Bards Ovate and Druids and became a recognised Druid. Runes were devised thousands of years ago; academics are still debating exactly where and when. The legends of the Norse however say that it was Odin who given the Runes of knowledge when he voluntarily sacrificed himself of the World Tree, Yggdrasil. I feel their magic as a tangible force that has carried them over the years to today, where still they are as relevant as ever. For we as people have not changed, we still feel as our ancestors felt, we still fall in love, grieve for the loss of someone who as departed, and still worry about our futures. In short little has really changed about us as people so the Runes still speak to us about the things that really matter in our lives. Angel Cards, come in all shapes and sizes. Some are much like tarot cards except having an Angelic theme. Some are more like Oracle Decks only 40 or so cards, built about accessing teachings directly from your Angels, with some phrase or message printed on them. I personally am really into Angels having many statues of them around me in my room where I work. I feel a strong connection with their energy using it to access a higher plain to assist with your problems. So now its over to you, please do get in touch and I will do my best to guide you not only find out what the future has in store but to look at the future and find the best way forward to get your life moving in the direction you want it too. Well I always start by asking my clients what questions they may have, and what areas of their lives they feel most in need of guidance with. This is to make sure we waste no time concentrating on what is most important to you. I have been in the business of helping people with their problems for over 30 years so you need not worry about be being shocked or not having experience with a question before. I will not judge you I am here to guide you what ever your circumstances with precise information. To give you clear answers to guide you resolve any problems you may be experiencing and give you the information you need to take decisions in your both now and in the future in your life. To look at your future with you and guiding you work out the best way forward to get to the place you want to be, whether that is connected with work, relationships or something else. I come from a Romany family, my Great Grandmother was Romany Gypsy but she retired from the travelling life to settle down as times changed. My mother taught me how to read the cards when I was quite young 7/8 or so. There is no time I can remember before I was interested in Cards Crystals and Magic of all kinds. I started reading from friends guiding them with there problems when I was still at school. Then as a got older I wanted to to reach more people who might need guidance so I started working at the Psychic Fairs. Later as the Fairs sort of died out I began working from home over the telephones, which I have done now for the past 6/7 years. When I was at school all my friends were fascinated by my cards and always asking questions about their lives and boyfriends etc. (in fact one of my friends later went on to become a Tarot Reader herself). When I saw how I was able to guide them with their problems how the cards helped people open up tell you what is really on their minds what there problems are and the fact I could then help them with those problems that is what inspired me to start giving readings professionally. Oh dear well it is so difficult to choose, from predictions for friends that I know have come true to living in a old haunted farm cottage. To in my early days working at fairs for a person who though that Cambridge was a good enough description of where the fair was and if you were not psychic enough to find it then you were not the right sort of person to be working with him. To being in the presence of some of Tibet's highest Lamas, the energy they give off is just so different, so still and quite. To feeling the present of a friend who had recently passed with me in my car. When you have been in the psychic business for as long as I have it is hard to pick a winner here. Kooma are a busy company to work. Angel Cards, there are many different sorts of Angel Cards from full Tarots to Oracle Decks by authors like Doreen Virtue, 'The Angel Oracle' and 'Messages from Your Angels Oracle', are two of my personal favourites. Although I also have 'Guardian Angel Cards' . I have always been very drawn to Angels, all religions have Angels in Buddhism they are know as Dharma Protectors. I feel there help and guidance though the cards. My Cards have inspiration phrases on them talking about guidance from Angels which I can then pass on to my clients paraphrased by my own Guides/my 'Angels' to apply to my clients calls for help and guidance from above. Nice lady but not for me, takes a long time to get very little information, one or two bits of accurate information though. As a first timer with Laura she was very good and was accurate in what I am currently facing - she has advised me on what I need to do in the future as I was requiring guidance. However she was not able to discuss anything medical which I think was part of what she desperately needed to tell me and guide me on of which I had to guess but was not her fault as the psychics are not permitted to discuss such health issues. Nevertheless, she expanded when I spoke about my concerns indirectly to her then she had to expand avoid my health. I found her very good. I would recommend her. Nice lady but needed a lot of prompting. I asked for a general reading and to just see what she could pick up on. Kept going off point and felt that I was just having a chat with my mother rather than a reading. Told me romance on the cards which I did not expect and then asked me to ask her questions about it. I wanted her to tell me rather ask questions. Nice lady but wouldn't have another reading with her or recommend sorry. Long pauses... did not really agree with some things said as I felt they were opinions rather than what's being sensed. Generalisations made rather than anything substantial. Closed the call after 11 or so mins as felt the conversation was drying up. Sorry not for me.